Gender Ideologies and Climate Risk: How is the Connection Linked to Sustainability in an African City? Although African cities are nodes of scalable solutions to climate uncertainty, adaptation efforts rarely build on the gender-climate nexus for sustainability. This article examines how gender ideologies intersect with climate risks, based on case study findings from Kampala in Uganda. Climatic hazards in Kampala include prolonged dry spells and seasonal floods; which destroy infrastructure, contaminate air and lead to unprecedented spread of cholera and malaria. Both conventional and emancipatory gender ideologies are characteristic of how the gender-climate nexus shapes adaptation at neighborhood scale. Women, as custodians of domestic hygiene, navigate the health risks of flooding through trade-offs among competing uses of their time and labour, as men comply with the masculinity code of family safety to repair flooded homes and drainages. Emancipatory gender ideologies on the other hand are manifested by women's and men's agency to adopt alternative energy sources and urban greening that have potential for sustainability. African cities have the potential for a transformative turn in global sustainability through local and scalable climate solutions. Climate action in urban Africa is incremental as more people gradually shift to renewable energy in housing and health, non-motorized transport, urban greening and agriculture, waste re-use and recycling, and a range of other measures that will reduce emissions and enhance capacity to adapt to climate risks. 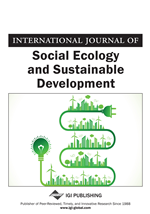 Although access to modern energy is still a challenge, the up-take of solar electrification in urban slums, street lighting and in water disinfection plants is at its peak; through collective action in form of energy forums, slum dweller associations, cooperatives and public-private partnerships (Parikh et al., 2012; Thorn et al., 2015). Urban development that integrates ecological sustainability into planning at neigbourhood scale has taken route in form of rainwater harvesting; restricted hard landscaping; and kitchen or toilet facilities that capture methane gas at the top of the dome, for re-use as cooking gas (Swilling and Eve, 2006; Buyana and Lwasa, 2011; Okello et al., 2013). Urban agriculture and forestry that transcends poverty reduction to scalable adaptation and mitigation potential, has gained traction in African cities through productive greening and ecosystem services for urban resilience to heat-related risks, air and water pollution (Phelan et al., 2015; Padgham et al., 2015; Ogato et al., 2017). Though air quality is being compromised by vehicle-generated dust and fossil fuels, walking conditions in public spaces are being improved through wider pedestrian precincts and traffic culming facilities as well as regulatory mechanisms for adoption of non-motorized transport (Tulu et al., 2013; Amoako et al., 2014). Coastal cities are coping with extreme episodic weather events, using not only built infrastructures (such as elevated roads) but also ecosystem-based adaptation, such as mangroves along the Moroccan coast in West Africa for defence against storm water surges, alongside fog-water harvesting; and community reforestation in cities like Durban-South Africa (Marzol & Sanchez, 2008; Roberts et al., 2012; Klemm et al., 2012; Brink et al., 2016). These incremental actions are capable of influencing societal transitions towards sustainability at global scale.